While the Dream Drop Distance HD remake is nice, and the extended cutscene for Kingdom Hearts χ is something you can watch, the real reason to pick up Kingdom Hearts HD 2.8 Final Chapter Prologue is the three hours we get to spend playing a big teaser for Kingdom Hearts III. Kingdom Hearts HD 2.8 Final Chapter Prologue is a PlayStation 4 collection consisting of an HD remake of 3DS game Dream Drop Distance, an hour-long cinematic for Kingdom Hearts χ and a short playable side story that expands upon a secret chapter from the PSP exclusive Birth By Sleep. It’s that last bit that’s the best of the bunch. 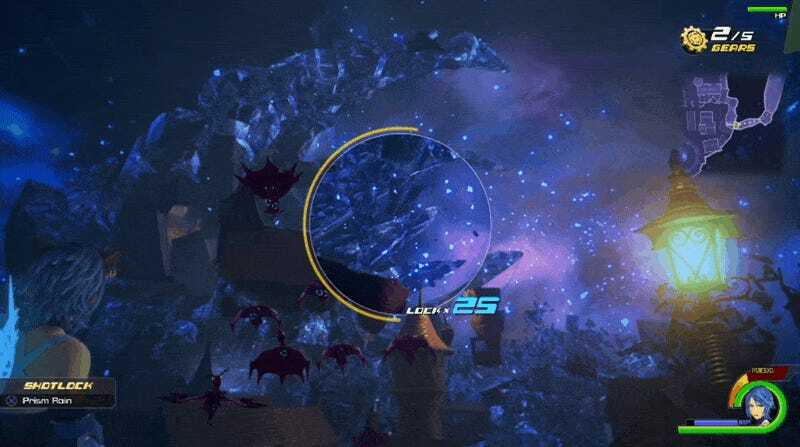 Kingdom Hearts 0.2: Birth by Sleep – A Fragmentary Passage was created to give fans a taste of the elements coming in Kingdom Hearts III. With a lot of work still to be done on the third non-fraction numbered entry in the series, this is as close as players are going to get to Kingdom Hearts III for a while. 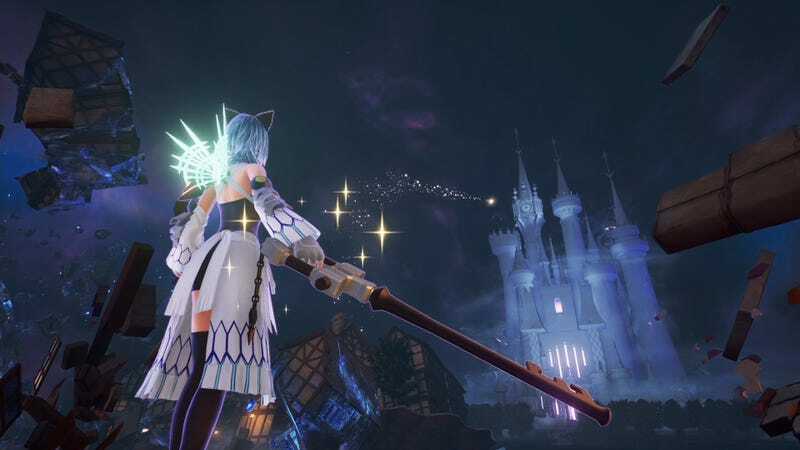 A Fragmentary Passage picks up exactly where the secret chapter of Kingdom Hearts Birth by Sleep Final Mix leaves off, with the blue-haired Keyblade wielder Aqua standing before Cinderella’s castle in the Dark World. This is where the secret episode of Birth By Sleep ended (via Kindom Hearts 2.5 remix). This is where A Fragmentary Passage beings. As Aqua approaches the castle, the ground beneath her feet begins to crumble, the clock on the tower rapidly advancing. In the initial sequence she must travel across the crumbling town surrounding the castle, finding clock gears in order to turn back time and open up her path. The area serves as both a tutorial and an introduction returning gameplay elements, easing the player into the flow. Shotlocks, double jumping, transformations, that sort of thing. Once all of the clock gears have been found, it’s time to move on, but not before we finally get to take on one of these damn things. They’ve been teasing us with these Heartless swarms for years now, and they do not disappoint. They take those little bastards we’ve been mowing through for ages and make them daunting again. Here’s 15 minutes of the game in action, from collecting clock parts to fighting that Heartless whirlwind. Things to take note of in the video. Movement is quick and fluid, though the running gait takes a little getting used to. Combat is pretty intuitive, though things can get pretty chaotic during the big boss fights. Everything runs beautifully, and the game looks lovely. After the fight, Squa continues her journey through the Dark World, sliding, hacking and fighting her way through mirror puzzles, strangling vines and more Heartless than you can shake a Keyblade at. The entire side story, cutscenes and exploration included, runs about three hours. A Fragmentary Passage isn’t without its downsides.For a three hour game, it sure repeats boss fights a lot, though each time a boss returns they’re slightly different. It’s a fairly linear experience that opens up from time to time in confusing ways—I spent a portion of the three hours lost in a twisting thorn-choked cavern. Any negatives are instantly negated however, by the ability to complete challenges to unlock new cosmetic items to dress up Aqua. Square Enix does a fine job of porting the 2012 3DS game to the PlayStation 4, to the point where Jason Schreier’s review for the original version stands, with a few minor tweaks. Enemies are a bit less aggressive, addressing player concerns over the 3DS version. Touchscreen mini-games and menus have been reworked in order to facilitate a game pad. The HD graphics look gorgeous, bright and colorful. It still features the Flowmotion combat and movement system, which I feel is some of the best fighting and movement in the game. You’re still partying with Pokemon-esque Dreameaters rather than Disney friends, which is both sad and joyous at the same time. And the game still forces players to switch between Riku and Sora via the stupid and pointless Drop system, which is so stupid and pointless I have to repeat how stupid and pointless it is at least twice. 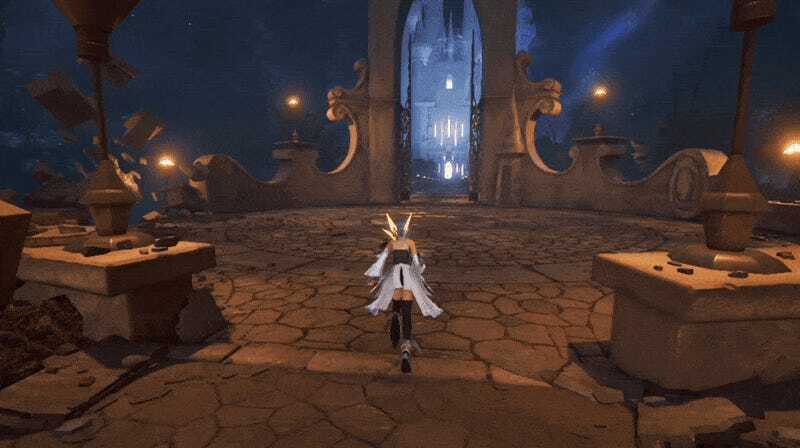 Dream Drop Distance isn’t essential Kingdom Hearts, but it’s a nice little treat on the PlayStation 4, especially if you never got your hands on the 3DS version. I would like one of those animal mask though. Maybe bear. The weakest of the three offerings in 2.8, Kingdom Hearts χ Back Cover is an hour-long movie that basically tells the story of the Facebook/mobile prequel to Kingdom Hearts. It revolves around the animal-masked Foretellers, the overseers of the dwindling light in the world leading up to the great Keyblade War. There are some cool visuals and some excellent voice acting, but on the whole I was pretty bored with Back Cover. Were I more invested in the mobile game I would have enjoyed this more, but I am not. In case anyone needs more incentive, free themes upon completion, everybody.